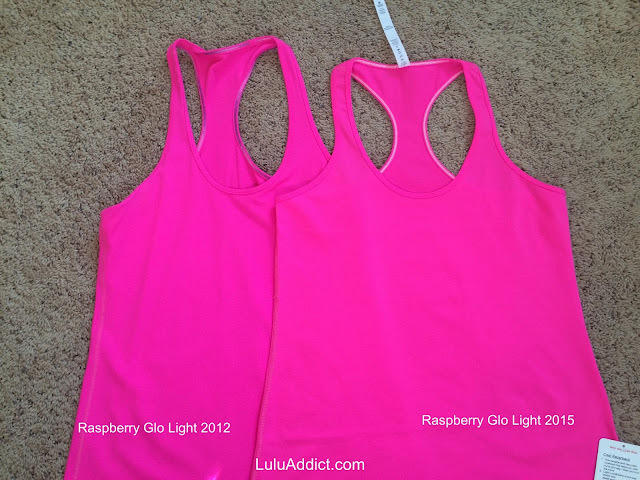 I bought the new Raspberry Glo Light Cool Racerback because I had heard that the new CRB was not the same pink. However, they are nearly identical - the new one is a touch lighter than the older one. I think the only way you will be able to tell them apart will be the stitching. The new Ras Glo CRB is decently thick and soft. Taken in outside in indirect light. For reference, here are some other pink comparisons. 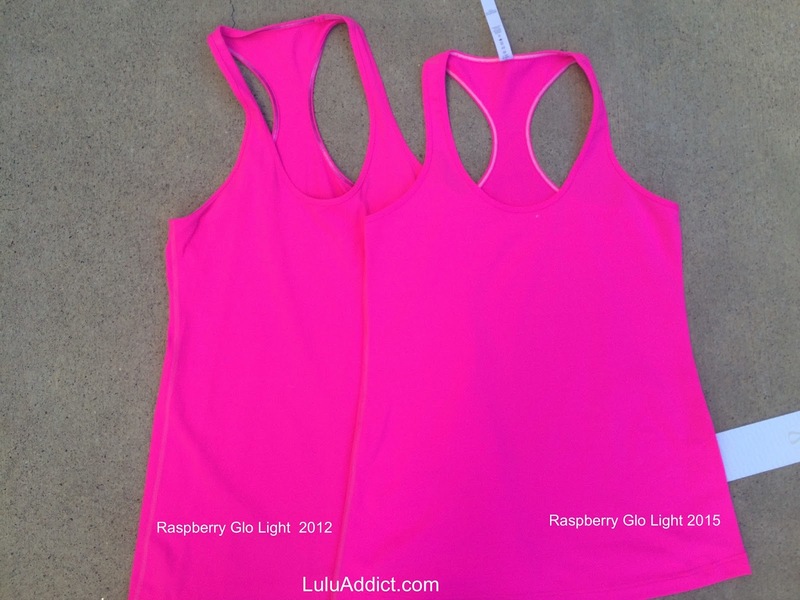 i have the 2012 r glo and i have the pincalicious...... so for now i'm good on the bright pinks don't need anymore! I love both of my pinks anyone who likes a nice punchy pink really will love this its beautiful! Thanks for the comparison! Quite the similarities, I am interested in this years raspberry glow; I don't have any of these pinks. I had shied away due to the bleeding issues. 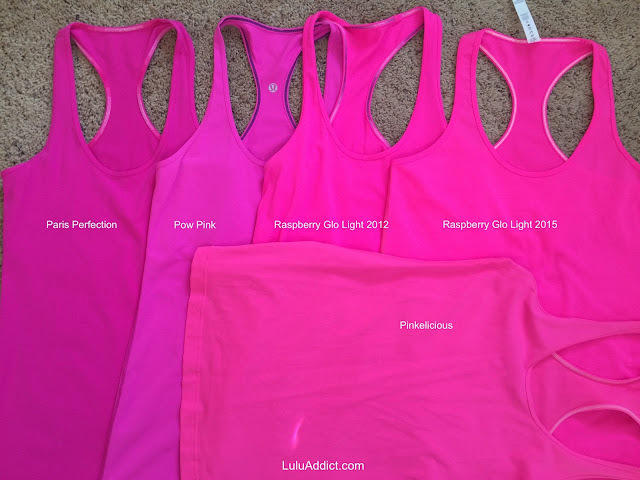 Wait, you own all of these nearly identical pink CRBs? You are crazy!!!! ;) I guess this is why you call your blog lulu addict. Love when you do these color comparisons - thank you! I got the Raspberry Glo CRB too and really love the color as well as material.